Marin Preda was born in 1922 at the village of Siliştea Gumeşti in Teleorman county. In 1940 he came to Bucharest, where he graduated the normal school (a school for teachers). He debuted in literature in 1942, when he published several sketches in a newspaper named Timpul (Time). He worked for the media, being proofreader, editorial secretary, editor. Preda published Moromeţii [Moromete's] novel in 1955, for which he has received the State Prize for literary merits. He becomes vice president of the Writers' Union in 1968 and in 1970 he was appointed director of Cartea Românească (Romanian Book) publishing house in Bucharest. 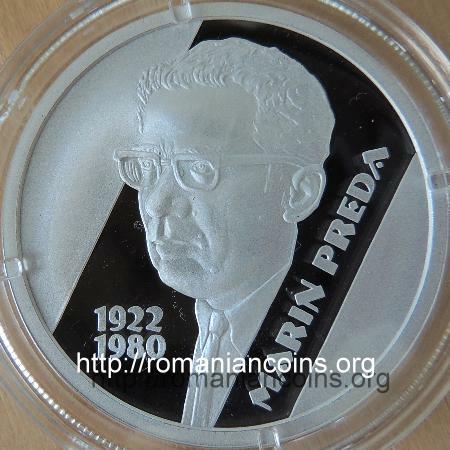 In 1974 Marin Preda was elected corresponding member of the Romanian Academy. 1980 brings to Marin Preda the publication of his last novel, The Most Beloved of Earthlings, and a deputy seat in the Marea Adunare Naţională (Grand National Assembly, the parliament). On May 16 the writer dies unexpectedly. The unfortunate event happened at the Writers' Union creation house from Mogoşoaia Palace. Many of the Marin Preda's works present the Romanian village, rapidly changing because of the traditional rural community falling apart. Inside Preda's book, written during the period of the communist regime, some bold passages can be found, that present different views from those of the previously established official line (for instance the somewhat more humane presentation of marshal Ion Antonescu in The Delirium, for which the writer got assailed in the Soviet press). Nowadays several high schools and streets from Bucharest and not only are bearing the name of Marin Preda. In his writings, Marin Preda made concessions to the political regime which in turn consecrated him as a writer, by incorporating in the epical thread of his novels the officially, by the system imposed positions to the contemporary history of Romania, in topics as the participation of Romania to the Second World War, the state coup of August 23rd 1944 and the instauration of communism as unique political system. It is to be pointed out the Orwellian participation of this valuable writer to the mystification of real history by disseminating to his readers the newly created versions of contemporary history, in neuralgic subjects that were also tabu for any loose debate for the epoch. According to this propagandistic positioning, the War against the Soviet Union, a war of liberation of the Romanian territories of Basarabia and northern Bucovina, would have been unpopular and disavowed by the Romanian populace (Delirium), the hate of Romanians against the German people would have been installed to paroxysmal level (An Hour of August [O oră din august]), and the peasants would have understood and consented to the necessity of collectivization (The Unfolding). 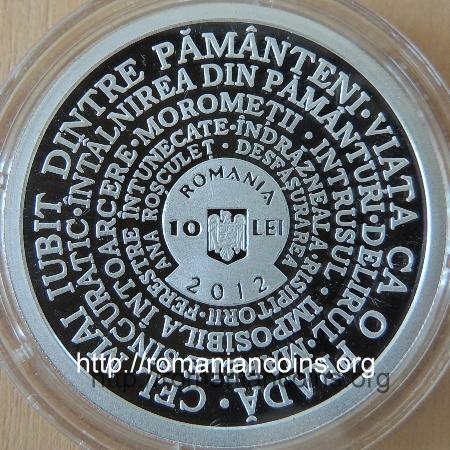 Aspects as the sufferings of the Romanian refugees and deportees, the barbarisms to which Soviet soldiers have submitted the civil population, physical, quasi-total elimination of Romanian intellectuals and so on, were completely overlooked in his writings with pretensions of historical novel. Plain to see for those who want to understand the involvement of Preda in state propaganda is the chapter, severed from the context of novel Delirium, where Preda romantically narrates a legend of the system: a brave young man is brought from Bucharest to his native village by the gendarmes, from post to post, being severely beaten on his way for the sole blame of having been a communist sympathiser. Without nominating in the novel this young man, the connection stood clearly out with struggling youth of illegal communist Nicolae Ceauşescu, raised to the rank of legendary hero, president of the state by the time the book was published. For these concessions Marin Preda was harshly criticized by the Romanian exile.